It’s not just teachers that have to deal with problem students. Many tutors and tutoring companies may find they are referred a student because they are a problem or you may have a disruptive student in a small group tutoring or workshop setting. For these reasons I thought I would share Matthew Lynch’s article from EdWeek September 8th. Over half of new teachers leave the field within the first 3 years. Why? Many cite the stress of dealing with disruptive and problem behavior in the classroom as the main reasons. If you feel frustrated with the behavior issues that you have to handle, take comfort in the fact that you are not alone–handling behavior issues comes with the job description. Follow the strategies that I have included in this article, and you will have no problem managing your students’ behavior. Here is how to deal with even your most challenging students. 1. Keep rules simple and easy to follow. Choose no more than five or six of the most important rules. 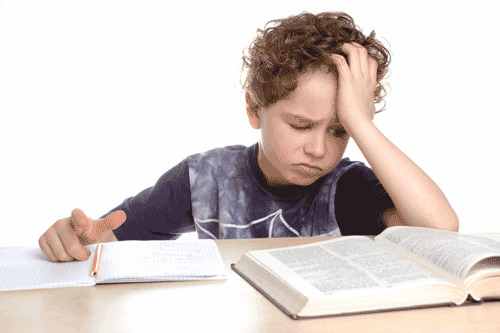 If students have too many rules, they will not remember any of them–and will not follow any of them! Rules should be short. The fewer words in each rule, the greater the chance that it will be remembered and followed. Be positive. Set a positive tone in your classroom by avoiding negative words like no, not, and never. Allow the class to help you choose the most important rules. Students are more likely to remember the rules if they help create them. In addition, it will provide them with a sense of control and responsibility to follow the rules since they are the ones that came up with them. Post them clearly and legibly. Students should be able to remind themselves what the rules are at any moment during the school day. Make it a process. Start out with something that doesn’t affect them too much and make each consequence that follows a bit more severe. Remember that developing some way of keeping up with behavior and being consistent is a must. Follow-through is also important, as is providing feedback. Make sure that students know why they are receiving a consequence and that they know how to avoid receiving future consequences. Finally, avoid punishing the whole class. It isn’t fair to those who do follow the rules. Limit tangible rewards. Tangible rewards are typically not approved for purchase with school money. Therefore, the teacher usually provides them out of his own pocket. Customize the rewards to fit your current class. What are their interests? What motivates them? You also want to make sure you change it up. When you notice students are no longer motivated by the rewards, rethink your rewards system and present it to the class. Allow the class to help develop the list of rewards for the same reasons they helped you create the classroom rules. 5. Don’t play into power struggles. 6. Learn to have an effective discussion with an argumentative student. Students who challenge everything the teacher says or does can distract the class by forcing it to focus on secondary issues. It might be difficult not to reprimand a defiant student, however getting defensive or adopting a hostile attitude is not likely to solve the issue. Remain assertive and civil and focus on the primary issue. Repeated instances like these may require an “after class” discussion with the student to explain how the behavior spoils the relationships with you and interferes with learning time of his/her peers. 7. Don’t tolerate brooding and sulking. 8. Learn how to best help out your over-dependent students. A student who requests assistance all the time may be doing so out of a need for attention or may genuinely not be able to accomplish the task on his/her own. Assess the reason behind the clinging habit before you address it. Try ignoring the persistent calls to look at the work for a while, and when he/she waits patiently, reward him/her by looking at the work enthusiastically. Another strategy is to have students ask their peers before they speak to you for clarification. Make sure you do your research on what will work best in your classroom. Previous Article Why are the rich pulling their kids out of school? Next Article History In a Strange Name?